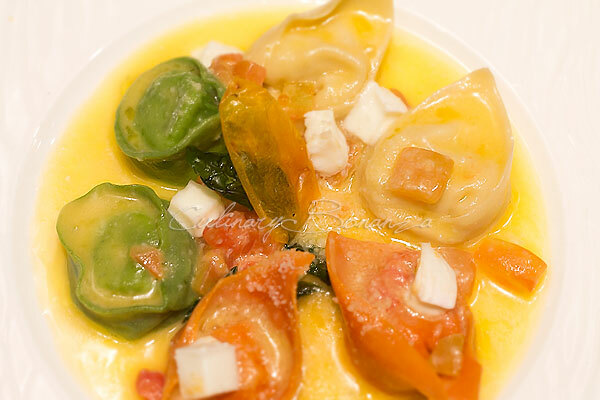 Guys, if you're looking to impress your bella or signora, look no further because this place I'm about to tell you is definitely going to wow your lady. 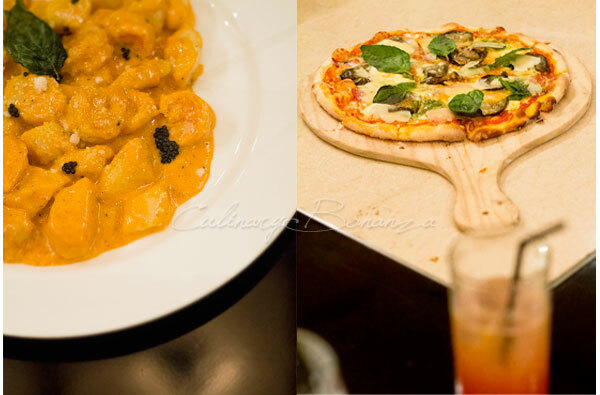 Rosso, an Italian word that means red, is a fine Italian restaurant that belongs to Shangri-La Jakarta. 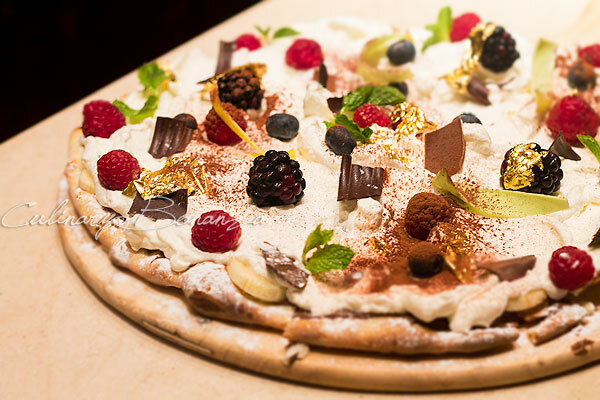 The team is led by Executive Chef Oriana Tirabassi, holder of Champion title from Pizza World Championship. Oh yes, don't mess with this lady, because she spins pizzas like basketball athletes spin their basketballs. Chef Ori's charming personality makes her like to chat, even with the guests whom she'd never met before. 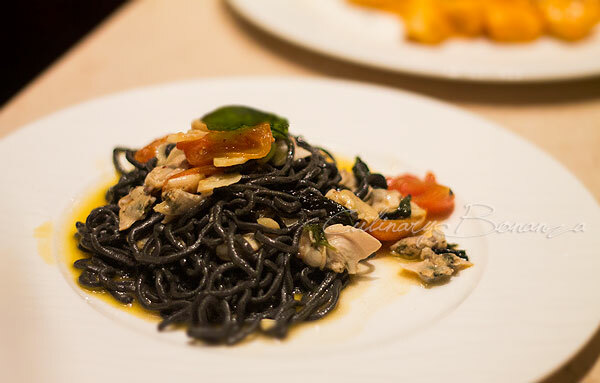 When she is around, do not be surprised if Chef Ori comes to your table and asks for your feedback. Despite her stern looks, she is absolutely loveable! At the time of my visit, Chef Ori was unfortunately not around, but there was this Chef (I forgot his name) who, for a moment there, made me forget about all of my worries and wonder at his acrobatic pizza-making skill. The genuine smile breaking across his face is an heartwarming sight, about loving what you do and doing what you love. 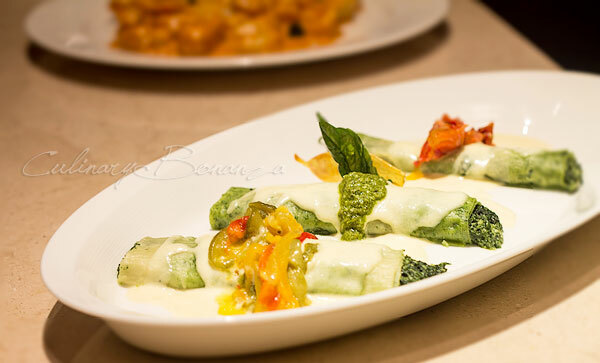 While I'm still trying to figure things out for myself, I would certainly not mind taking a break occasionally and enjoy these fine delectable Italian fares at Rosso. 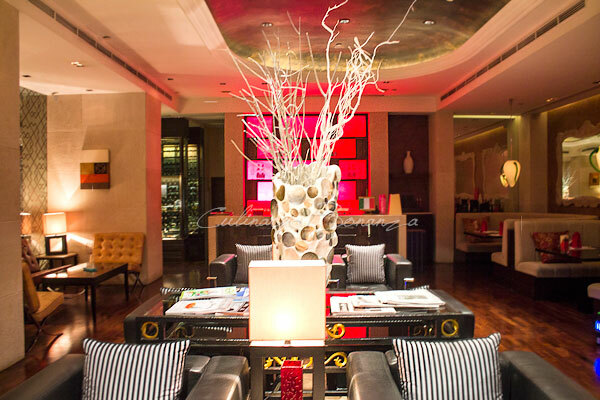 Located on the same level as the hotel's lobby, Rosso overlooks the scenic part of Shangri-la's pool and the hotel's towering rooms wing. 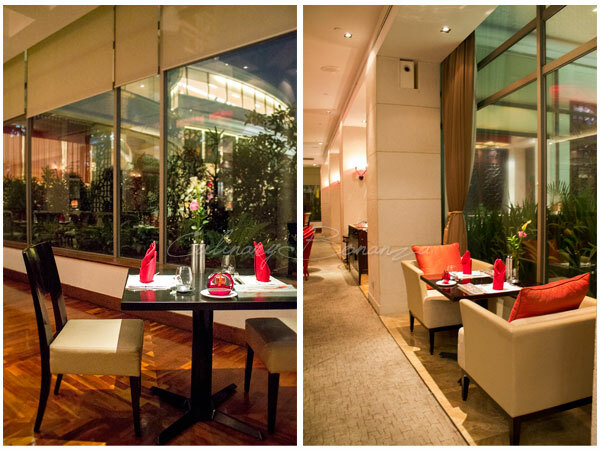 Divided into 2 distinct areas: the restaurant and the lounge. You could dine at the restaurant and if the evening is still too early to head back, you can lounge and have a glass of wine or cocktail at the lounge. 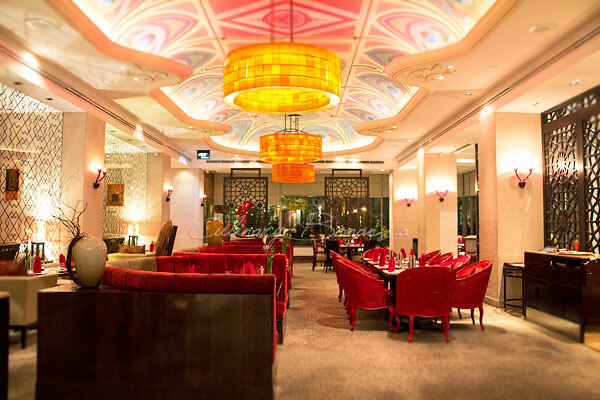 There are various table settings and positions inside Rosso, but I'd personally recommend the table for two at the corner facing the pool with tall glass window. The space feels quite intimate yet still within the staff's vision range in case you'd like to have extra pepper or butter. 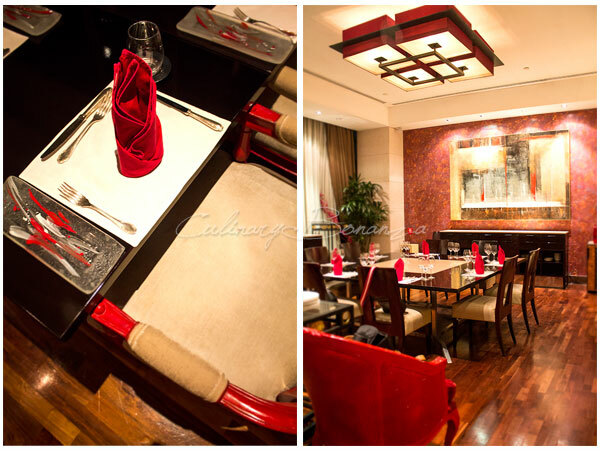 The Menu is sufficiently diverse, with enough selection for variety without overloading guests with too many choices. 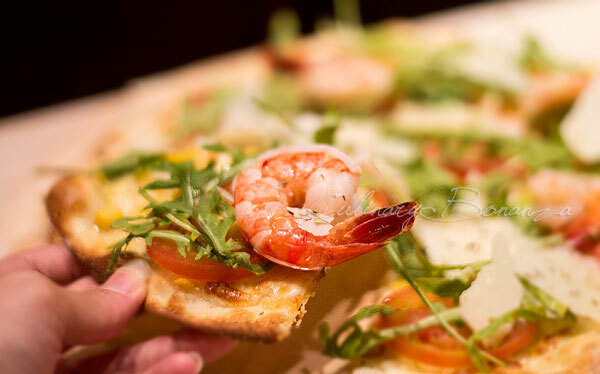 There are Antipasti (Starter), Vegetarian, Zuppe (soup), Paste, Risotti, Pizza, Pesce e Carni (Fish & Meat), Fine Cheese Selection and Dessert such as Sweet Pizza, Gelato and others. Do NOT ask me what to order here, because I won't answer. Okay, really? Do you have to ask that question? Crudo of Beef Tenderloin with Arugula Salad & Parmigiano Shavings. 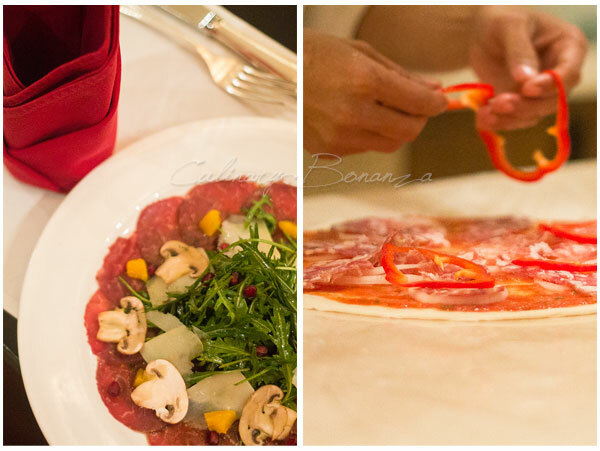 The raw slices of beef tenderloin was very thin, it could even be called carpaccio (as thick as skin). Most of the prices for items on the menu are for individual serving unless otherwise stated, ie: "for sharing"
Top-notch, expect nothing less from a five-star hotel dining establishment. A knowledgeable sommelier will be there to assist you with the wine selection. Why not make your reservation via Qraved, it's quick and easy!